Join us for a Gastro Obscura event exploring intriguing connections between heart, body, and mind in this fascinating talk and tasting focused on one of the most beloved foods of the world. 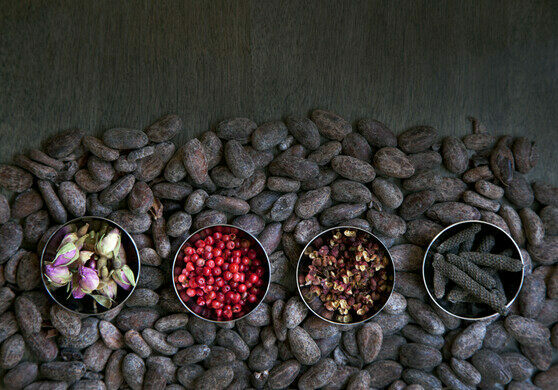 Gather at Seattle’s Intrigue Chocolate Co. for this Gastro Obscura event and alight on a five-chocolate tasting flight to learn more about the emotions and sensations that can come from a variety of chocolate flavors. Just about everybody loves chocolate. But why? Throughout history, connections between food and the proverbial heart have been associated in a wide variety of ways, from internal chemistry to provocative symbolism. The relationship extends to cultural expressions in religion, art, and anthropology. And when it comes to chocolate, few other foods can claim such a passionate fervor. 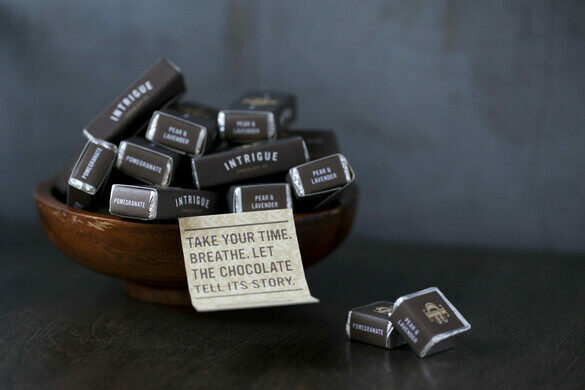 We'll explore these connections inside Intrigue Chocolate Co., which encourages the habit of exploration, enrichment, and enjoyment. 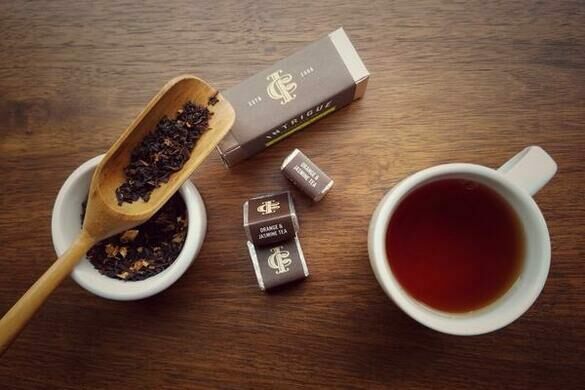 This small, artisanal chocolate company celebrates flavor discovery through the medium of fresh, handcrafted truffles. Many of their ingredients are grown across the world but their flavors are familiar to this region. 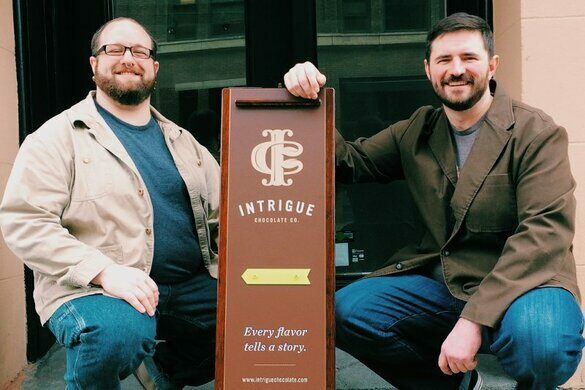 Chocolatier and Chef Aaron Barthel, together with his partner Karl Mueller, has built a passionate following for Intrigue’s intoxicatingly delicious creations, handcrafting small batches of ganache with care to coax every ingredient into telling its own story. From farmer to botanist to brewer to baker to chocolate-truffle maker, Chef Barthel’s life has been an exploration of fine and simple things. He’ll share revealing insights on what makes chocolate and chocolate pairings so tantalizing, and explore some of the theories behind the aphrodisiac qualities that many people find in these sought-after flavors. Gastro Obscura is our food section devoted to wonder and curiosity. We publish articles on topics such as the last fire-fishing boats of Taiwan and the world’s only sourdough library, as well as a database that contains peanut butter fruit, red ant chutney, and more than 1,000 unique and wondrous food and drink. 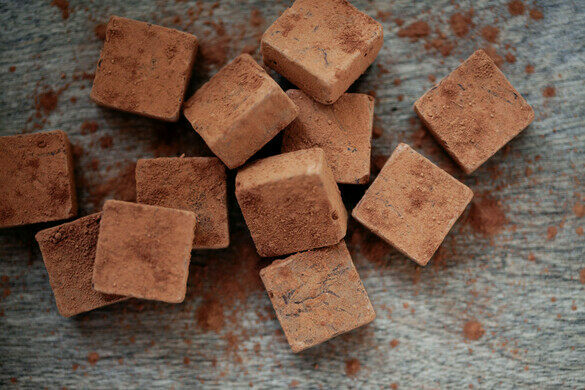 We will be tasting a flight of five fresh and tasty chocolate truffles, alternating with coffee from the passionate roasters at Conduit Coffee to refresh your palate. For those in pursuit of a little extra stimulation, a paired flight of specially crafted beverages (coffees, teas and sodas) will be available for purchase. This is an alcohol-free event, so chocolate lovers of all ages are welcome. The location is ADA accessible. 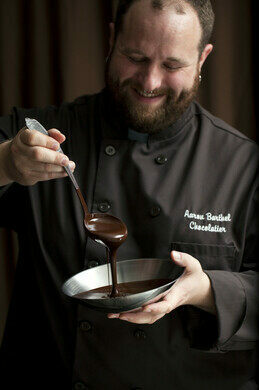 Aaron and Karl will also offer a 10% discount on any additional chocolate purchased at the event. Stay connected! Subscribe to the Atlas Obscura Society Seattle newsletter and join our Facebook group for a first glimpse at upcoming events. Advance ticket sales only. All ticket sales are final. No refunds or exchanges.